A while back, my friend Kris and I talked about making charity quilts with other women from church, and this morning I finished up our group's first quilt top. I'm not actually sure where we are donating the quilt so I'll update on that when I know. 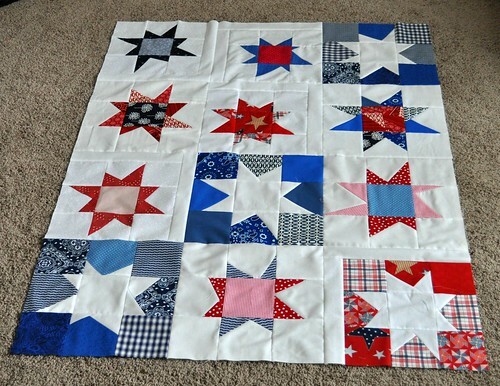 We had 5 people contribute blocks to this quilt and hope more will join us next time! 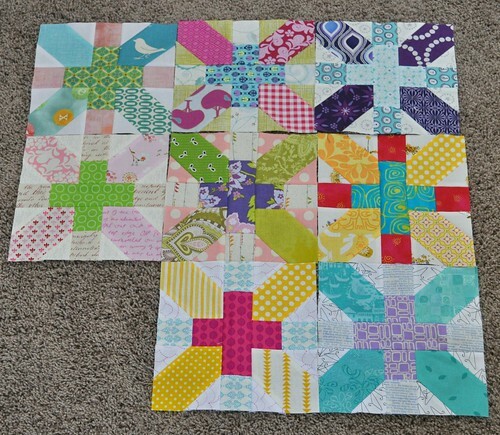 I also started swapping x+ blocks with my Seattle MQG friend Tracey. I started making x+ blocks last year for myself, but I want them all scrappy and unique and I lost the energy to keep going with making just one of each block. I'm so glad Tracey agreed to swap with me! Our colors for March were yellow, pink, turquoise, purple, and green. We each made doubles of four blocks and then swapped, so we each ended up with 8 different blocks. We're using the badskirt tutorial for these, fyi. Tracey chose navy blue, red, orange, turquoise/aqua, and grey for our April colors. I have half of my blocks done and need to get going on the other two sets. 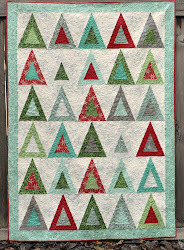 I have been working on a quilt for a friend and thinking about working on my rhino quilt #2. I'm planning on doing a little sewing project with the preschool kids too. What have you been working on lately?